We were super looking forward to Disney On Ice Magical Ice Festival this year! The girl especially, who was on her best behaviour the last 2 weeks just in case I really carry out my threat and not bring her for the show. 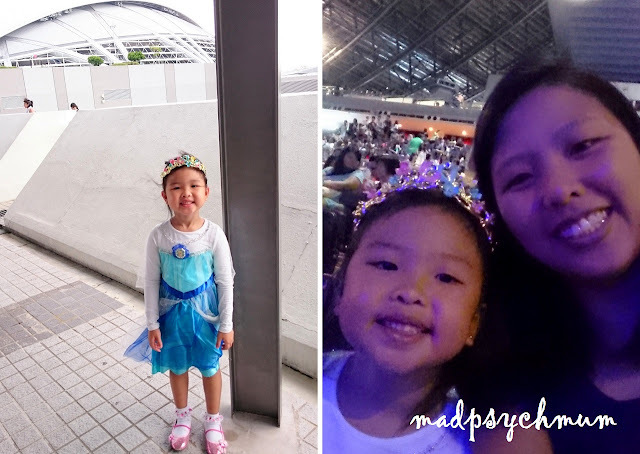 As usual, she was dressed as Elsa (yes again!) because, in her own words, "I don't have an Ariel dress!" It's amazing how her heart turned from Elsa to Ariel just because she met Ariel in person in Tokyo DisneySea last December. Unlike Disney On Ice Treasure Trove, which we watched two years ago, this year's production is all about our favourite princesses, namely Ariel, Rapunzel, Belle, Anna and Elsa (technically Elsa is a queen not a princess unless you count the time before her coronation). Our hosts, Mickey and Minnie! I was really impressed by Nicola Trippick's performance of Ariel! She even did the Spanish Web 10 metres above the ice when she transformed from a mermaid into a human (I only know this from her promotional video hehe)! My girl was so impressed that when I asked her later who she liked better, Ariel or Elsa, she answered without hesitation, "Ariel!!" I love all the Disney Princesses but my absolute favourite is without a doubt, Belle (we even stayed at Beauty and the Beast room when we were at Tokyo Disneyland! *laughs*). 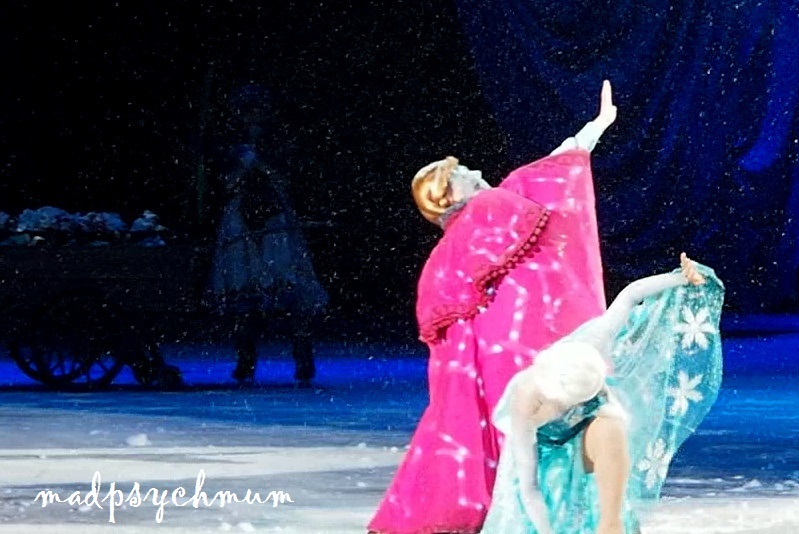 Kristoff waving at us! Woohoo! Overall, although the highlight was Elsa and Anna (I cannot begin to tell you how many girls were dressed as Elsa! 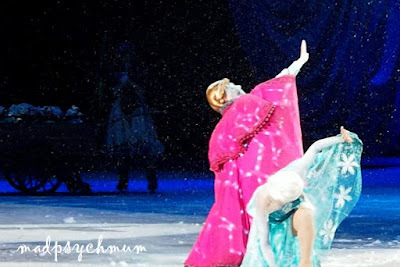 ), I thought the rest of the performances (especially Ariel) were equally spectacular! I think I was cheering at almost every scene! 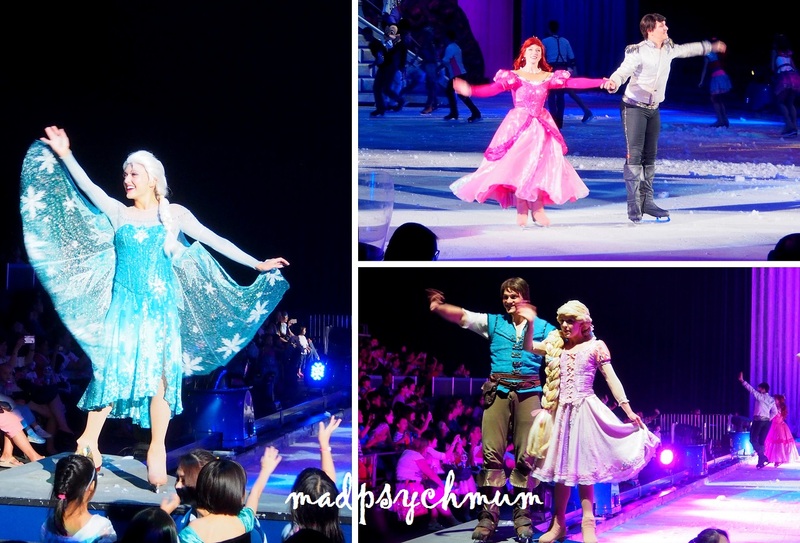 Definitely the best Disney On Ice that we have watched so far! There's still time for you to book your tickets if you haven't already! Who? Anyone who is a big Disney fan! 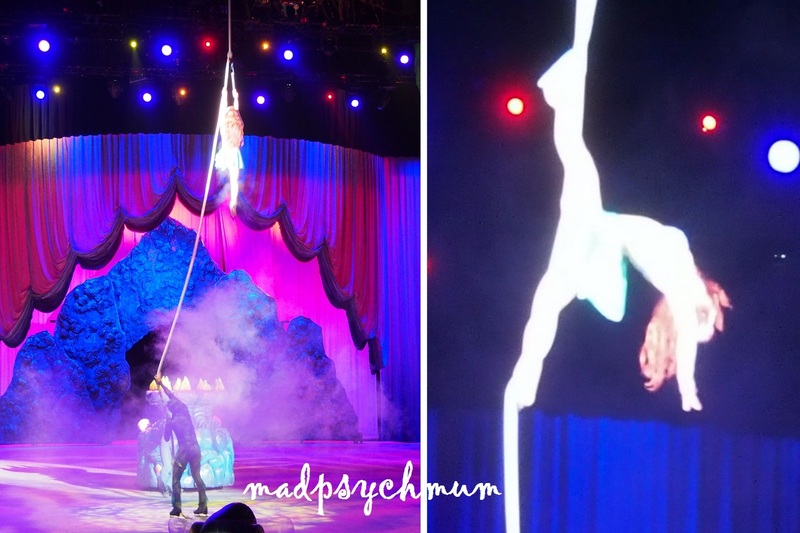 Disclosure: Complimentary tickets were received from Disney On Ice & Feld Entertainment for the purposes of this review. No monetary compensation was received; all opinions are my own.